Wednesday September 12, 2018-President Uhuru Kenyatta is reportedly not happy with the conduct of Inspector General of Police, Joseph Boinett. According to a National Intelligence Service (NIS) dossier given to the President, Boinett has been promoting members of his community and demoting police officers from other communities. The dossier accused Boinett of ensuring three quarters of top officers at high decision-making level in the service are all from the Rift Valley. He is also accused of favouring his tribes’ men in allowances and this is why NIS shared the dossier with the President. Those close to the Presidency say Boinett will be lucky to celebrate Christmas while still at Jogoo House. Boinett comes from Elgeyo Marakwet County and joined the police service in 1984. He rose through the ranks to become a Senior Superintendent of Police. He was then transferred to NIS in 1998. He served in the Kenyan missions in Harare and Rome as a desk officer & was later seconded to the Ministry of Foreign Affairs as Head of Protocol. Give us names, ranks, stations, counties etc vis-a-vis other tribes. 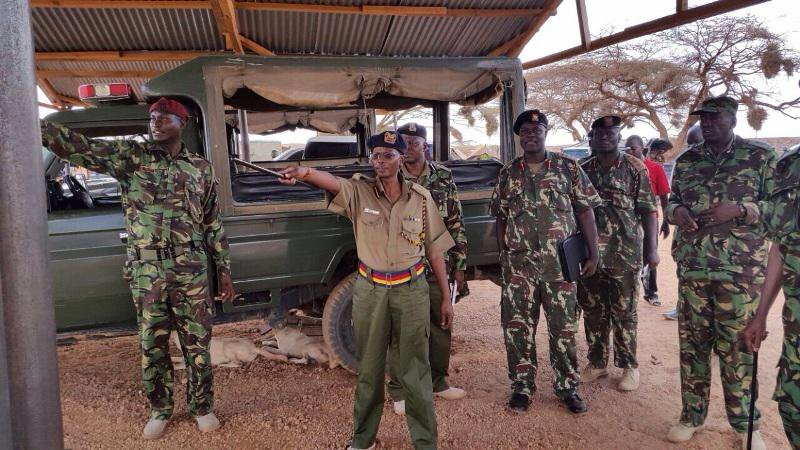 Impunity is impunity na lazima i-sortiwe kwote; KDF, Forest, KWS NYS nkt. Unless i am missing out something; police promotions last time i checked is not a one man show but a board?